THE DRUM- The Zimbabwe We Want Poetry Campaign continues to knock on political leadership doors. In Africa today politicians have become little Gods who have decided to take our lives to the Canaan and Gomorrah of their making. African politics and its processes has to be redefined and realigned. Attainment of POLITICAL positions has become a way of looting and cheating the masses as much as protecting both personal, economic and political interests. Africa is no longer the same because of greed and widespread wars. We are tired of such vices. The Poets are saying NO to the short changing of the masses, the looting and the cheating. We remain defiant against political systems that defy the masses their right to a good life and social cohesion because of selfish interests. A set of poems in this article are unravelling pertinent matters that continue to upset Africa and Zimbabwe included. The Poets will always continue to voice NO TO VIOLENCE, NO TO INTIMIDATION, NOT TO WATER POVERTY, NO TO DISEASES, NO TO POVERTY, NO TO LOOTING AND NO TO WARS. Thank you more Chrispah Munyoro for the opening poem Tennis Ball and all of contributors. It is quite heartening that you want to see a truly new Zimbabwe and a changed world. Thank you again to our set of JOURNALS, Guest Poet Cde Sendoo from Mongolia. Aluta Continua Comrades, poets, followers, supporters and readers. A great Zimbabwe is in our poetry, a new Africa is in our voices and better world in is in our PEN. ASANTE SANA!- Mbizo Chirasha. The bizarre nexus of our era. In dire poverty we are stranded. From our freedom of action. Men become enemies of each other. The weird phantasmal dribbling in Africa. Blood wars purpling the Heath. Deep down when stones are things of beauty. The dances bumping from Congo like tennis balls. The earth was pure, fresh. Without any hindrance or worries. Destroying and trying to be idols. That in itself shredded this blemis. America you decided you are an intellect. Falling dismally to those who misuse the church. Who view it as a market exchange. Deserting the lord in jolly. Praying to him in desperation. Warning!! the church is not a stock exchange. Those leaders who rule by iron rods. Who thinks he is above the law. They can’t be asked for their actions. Doing whatever they want like the wind. Believe me men you are heartless. Zombies full of fear for your steps pro tour. In a world of action and reaction. Wow you for the dirty money discriminating us. Think deeply about the day of judgement. The pieces of silver and notes. Are useless in after life. A man’s place is under God’s commandments. Tell me what will happen on that day? On the day of judgment what will you do? I bet you shall be gnashing teeth. Running for cover with terror. Take heed! It shall be regretful. But you can’t change the hands of time. Armageddon is going to strike. Like the speed of lightning. Could finesse be as devoid. Be not master-piece of art. Or your silence upon my truth? Or pretend you don’t understand. Or your tongue pick a word. I dream of a nation, where all voices are equal. I have a dream with authority in my voice fixing on my desires. I dream of rainbows and tongues, determining stones houses. In my dreams I experience voices of diverse languages singing one redemption song. I see visions of rainbow colours sitting on each other reaching for vastness. 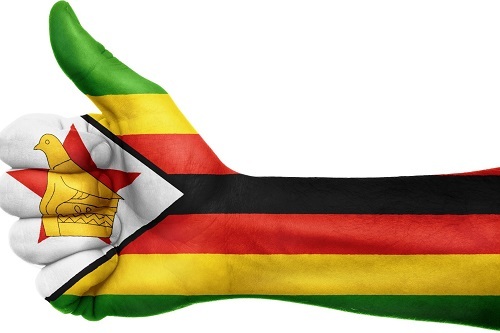 A voice whispers in my heart “…this is the Zimbabwe I want. And his equation that ended the Nazis. Committing suicide in the name of murder. While inventing dynamite blew up his brother. That men will fear to pull the trigger. Poisoning whom the bombs were meant to protect. is not even a solution at all. no mere shout can shake. to effect a resolution ,a change! taking refuge in fleeting shadows? Cowards we are, most exiled exiles! only that which meet us. and still await to see a work being accomplished? Cowards we are, exiles in exiles. Is a shaper of the brain. Oil for the rusting cairn. Maker of dew in the morning.